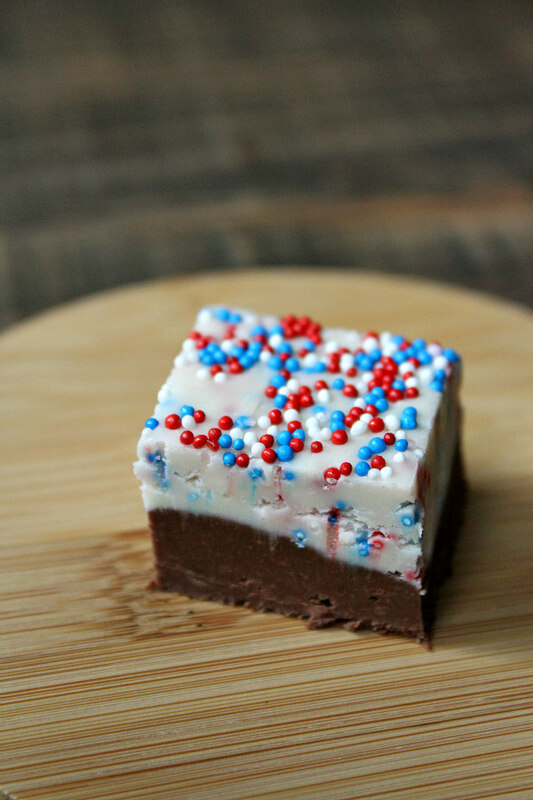 This Patriotic Fudge Recipe is perfect to make for summer holiday parties. 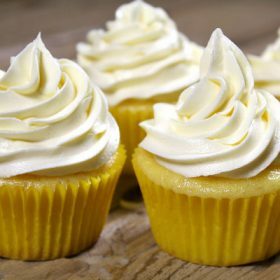 Hey, it’s RecipeGirl here. I’m filling in for RecipeBoy this month because unfortunately he broke his collarbone a couple of weeks ago playing lacrosse. He had to have surgery to repair the break, but he’s doing much better now, so not to worry! Since typing is really difficult for him, I told him I’d make something fun and share it with RecipeBoy readers. So here’s this fudge for you! 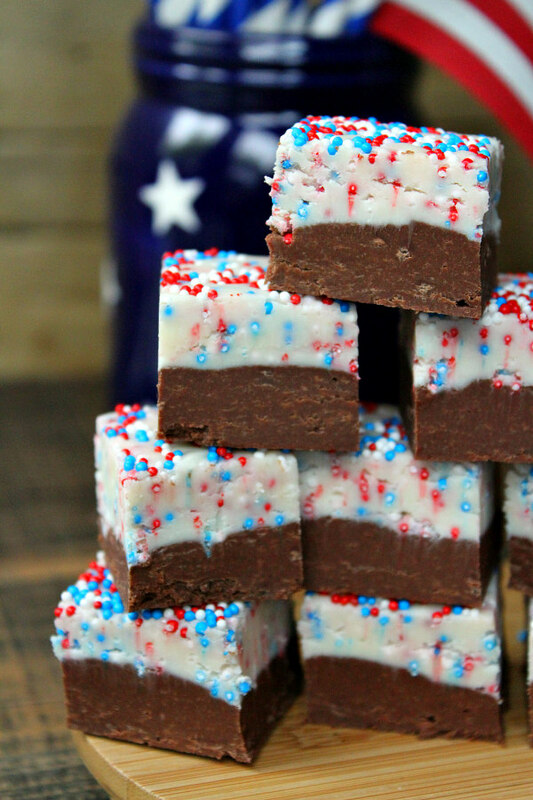 There are two layers of chocolate in this patriotic fudge recipe. 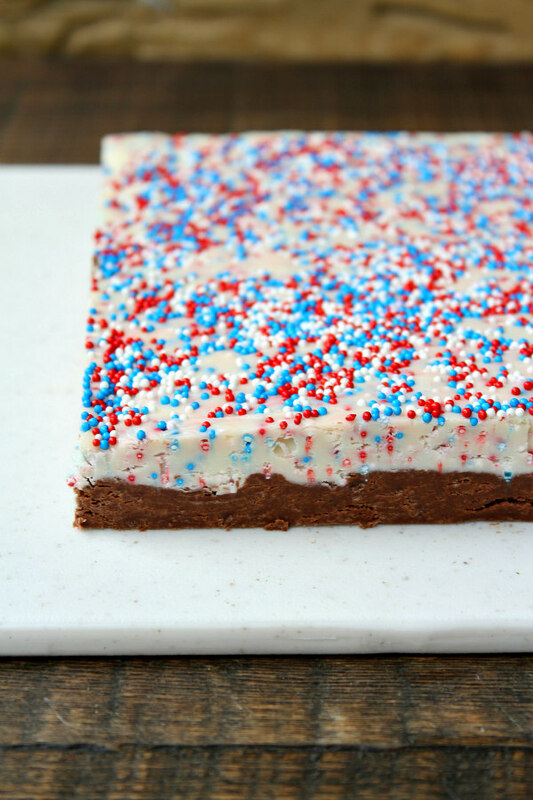 The first layer is a classic chocolate fudge layer, and the second layer is a vanilla white chocolate layer with red, white and blue nonpareils mixed in. 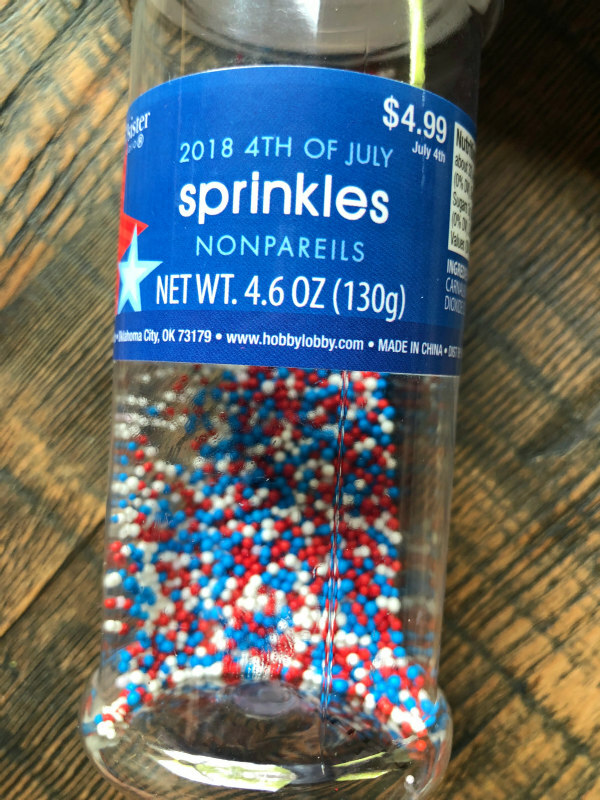 I found my nonpareils at Hobby Lobby, but you can probably locate them in Target, other craft stores and even your grocery store during the early summer months. You don’t need a candy thermometer to make this fudge. It’s super easy. The chocolate fudge layer is melted and spread in the bottom of your pan. Then the white chocolate fudge layer is melted and spread on top. That’s it! After being refrigerated for a couple of hours, the fudge is very easy to peel off the foil and transfer to a cutting board in one big block. 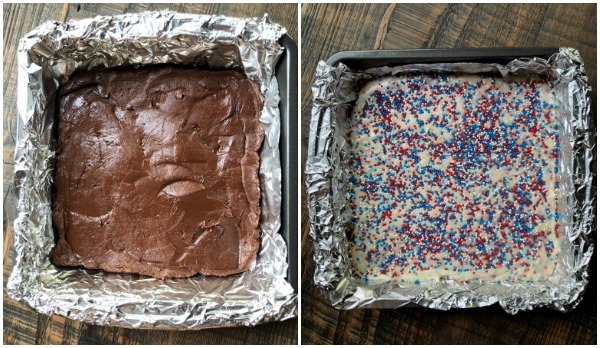 Since this fudge recipe is super sweet, I recommend cutting it into tiny, one-bite pieces for serving. These little cuties are so perfect for sharing this summer at your Memorial Day and 4th of July barbecues. Everyone loves a good piece of fudge! Brooks should be back to blogging very soon. He wants you to know that his team won the state championship in lacrosse this year, and he is very excited about that! If you’re looking for more patriotic recipes, you might also wish to try Patriotic Jell-O, Red, White & Blueberry Cheesecake Mousse and Patriotic Red, White and Blue Pastries. Line an 8-inch square pan with foil (leaving a good overhang on all sides), and spray lightly with nonstick spray. Prepare the chocolate fudge layer: In a medium-sized saucepan, combine the chocolate chips, sweetened condensed milk and marshmallow creme and heat over medium heat. Stir constantly with a rubber spatula or wooden spoon as the chips melt. Once the mixture is melted and smooth, remove from heat and scrape into the prepared pan- spreading to create an even layer. Set aside. Prepare the white fudge layer: In a medium-sized saucepan, combine the white chocolate chips, sweetened condensed milk and marshmallow creme and heat over medium heat. Stir constantly with a rubber spatula or wooden spoon as the chips melt. Once the mixture is melted and smooth, remove from heat and stir in the vanilla. Then quickly stir in the 1/3 cup sprinkles. Don't stir too much or they will begin to melt into the mixture. Scrape the mixture on top of the fudge layer- spreading to create an even layer. Sprinkle a few additional sprinkle or nonpareils on top, if desired. 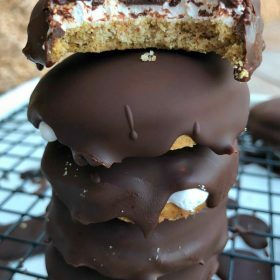 Refrigerate for 4 hours, or until set. Once set, remove the fudge from the pan by lifting it out of the pan with the foil overhang and then peeling the foil off and discarding. Set the fudge on a cutting board and cut into small pieces. Store at room temperature for up to 3 days, or freeze in a well-sealed container until ready to munch. 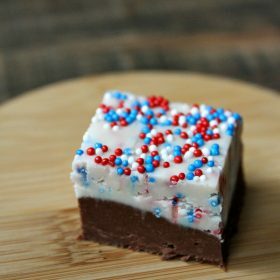 Thank you for this beautiful Patriotic Fudge Recipe. My family will have a chance to enjoy this on July 4th. Hurry up and get well – too much going on for you to be laid up! Thanks, I’m doing much better! Hope he is back to his lacrosse playing self and feeling much better very soon!!! 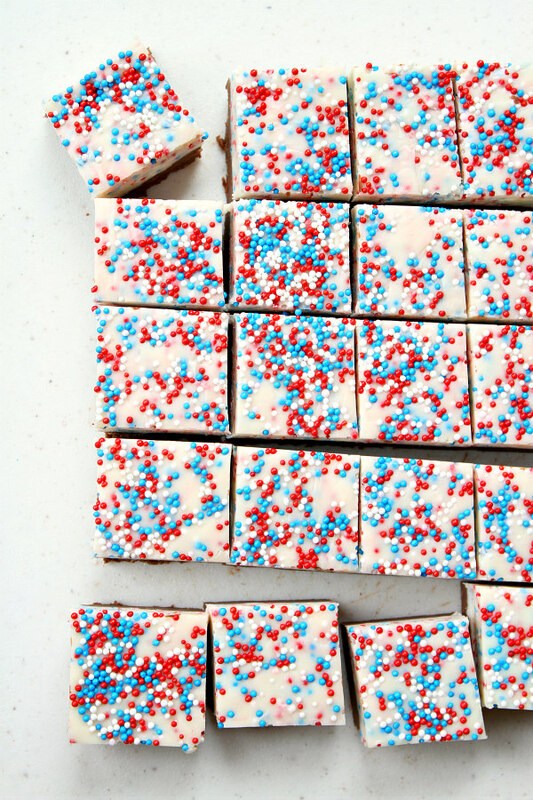 This fudge looks incredible and nonpareils just are so festive!! !